After eight years of demonstrations and sometimes violent protests, Chilean environmentalists popped champagne bottles and celebrated outside the ministry building after officials rejected the controversial?เล่นคาสิโนออนไลน์ให้ได้เงินPatagonian dam project last week. The decision halts development of what would have become Chile’s largest energy endeavor in history, the $8B HidroAysén hydroelectric project, which involved building five dams in two of South America’s widest rivers along with 1,600 km of power lines through pristine Andean valleys and fjords to carry energy to the nation’s central regions. It “marks a turning point, where an empowered public demands to be heard and to participate in the decisions that affect their environment and their lives,” Rodrigo continued. 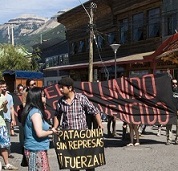 Chile’s former President Sebastián Pi?era gave HidroAysén a partial green light to begin construction in May 2011, but the project was repeatedly delayed as?various citizen groups organized campaigns and held protests throughout the country. A widely debated issue that divided much of the country, Chile’s president incumbent Michelle Bachelet was critical of the project during her campaign and expedited the decision process when she took office in March 2014. As a result, Chile’s Committee of Ministers voted unanimously to reject the HidroAysén dam project after reviewing 35 pending appeals. “A decision was taken to accept the community appeals and void the Environmental Qualification Resolution that approved HidroAysén; so the project is declared rejected by this administrative act,” Environment Minister Paul Badenier told the?Wall Street Journal. “This project has many aspects that were poorly thought out,” Energy Minister Maximo Pacheco?told Reuters at the end of a three-hour meeting to discuss the project. The number one copper producing country in the world, much of Chile’s economy relies on the energy-intensive mining industry, which in one form or another, will require new energy projects to keep expanding in the neat future. HidroAysén was planned to generate 2,750 megawatts, almost a third of central Chile’s current needs, which is a significant figure for a country lacking domestic oil and natural gas resources. Environmentalists have long pointed to Chile’s Atacama Desert, the driest place on earth, as an optimal sight for massive solar energy developments, but alternative projects have yet to receive approval. 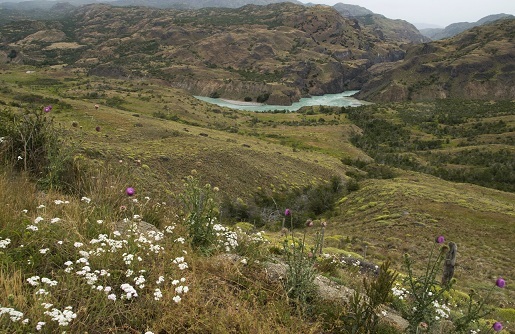 HidroAysén is 51 percent owned by European energy generator Endesa and 49 percent owned by the Chilean company Colbun SA. ?In response to the ruling, Endesa released a statement saying it would wait before taking further action. “It’s clear that there has been a change in the Chilean government’s attitude toward HidroAysén, and that the project in its current format has not garnered sufficient support from the authorities,”?Endesa representatives wrote in the statement. According to the Associated Press, Endesa can appeal the decision before an environmental court and analysts expect a long legal battle.